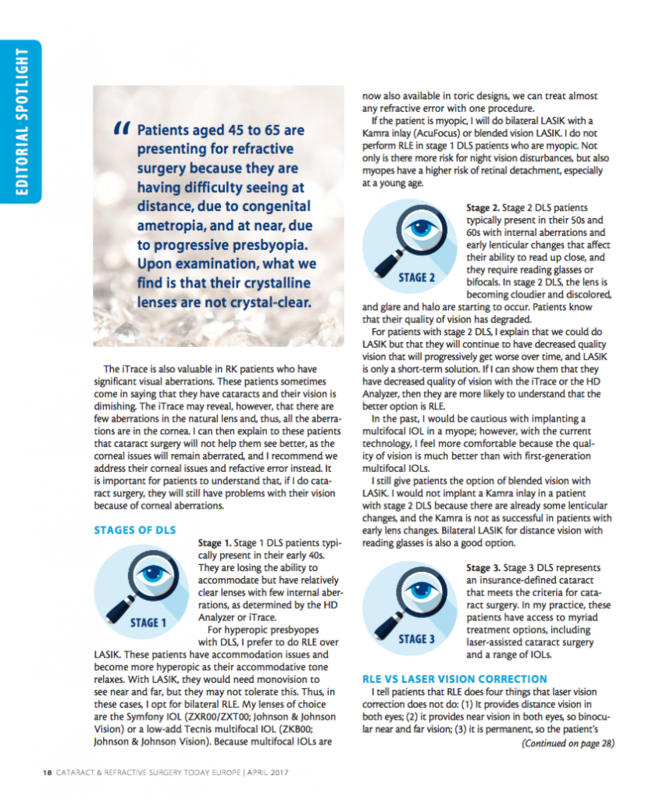 Dr. Asim Piracha recently published an editorial in the April 2017 issue of Cataract & Refractive Surgery Today Europe – a leading ophthalmic publication. 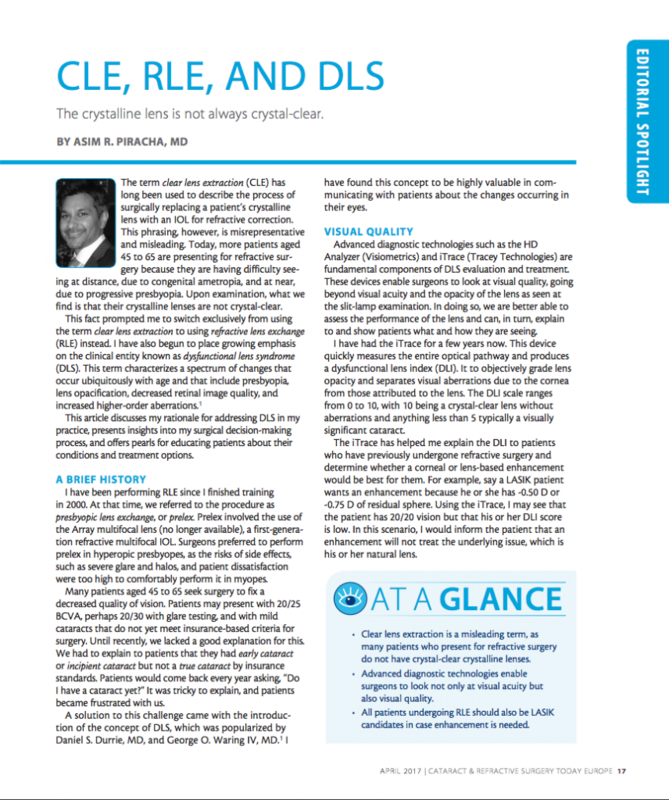 His spotlight on CLE, RLE and DLS discusses the term clear lens extraction and his decision to instead use the term refractive lens exchange to avoid misleading patients. 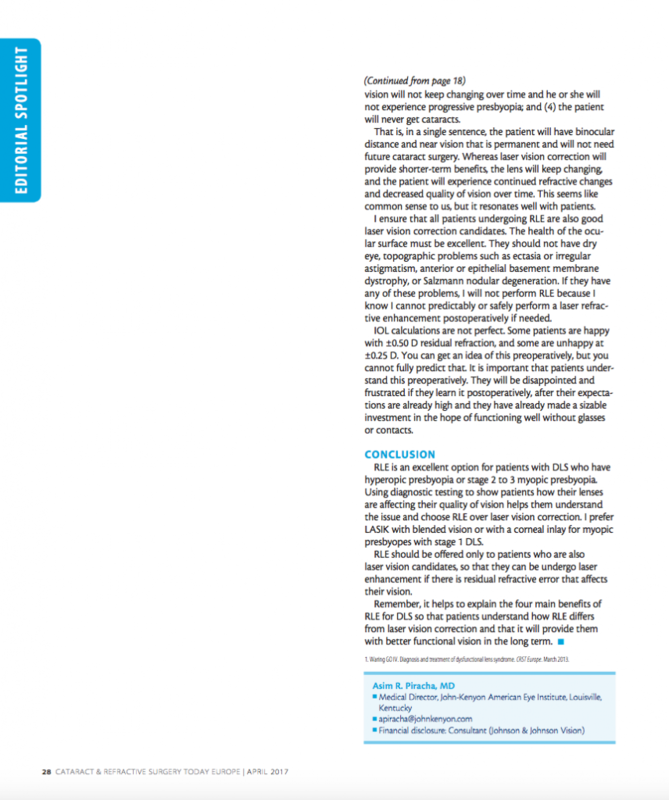 View the full piece below or here.